Am I the only person who was terrified of Singapore in the 1990s after that whole caning incident where an 18-year-old boy was given four lashes for vandalizing a car? I bet you forgot about that, didn't you? In middle school, I thought of Singapore as some crazed, militarist society that inflicted cruel and unusual punishment upon its citizens. 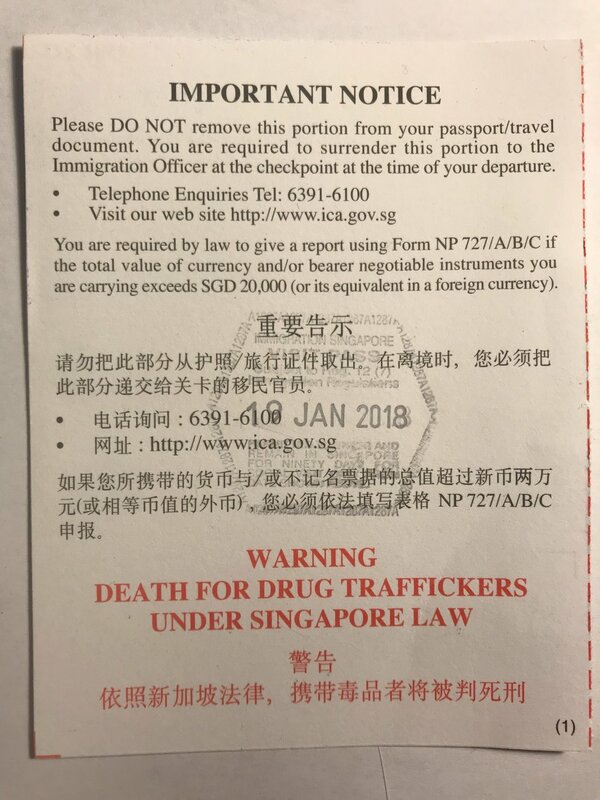 I then forgot about Singapore for 15 or 20 years before associating it exclusively with skyscrapers and shopping malls - the last two things I look for on vacation (well, perhaps after whips and canes). As far as I was concerned, Singapore could not be a less desirable travel destination. All of a sudden, an email arrives in my inbox announcing a fare sale to Asia and Singapore is one of three participating cities, along with Bangkok and Kuala Lumpur. I did a quick survey of friends who had traveled in the region and heard that Singapore was "mostly skyscrapers and fancy shops" but it was worth visiting for a couple days. What I heard most frequently was that the airport alone was worth a trip. Consistently rated as the world's top airport, Singapore's Changi International was modeled after Boston's Logan Airport, which was also located on the water to deter noise pollution. I decided to spend the bulk of my trip in Malaysia but I started off in Singapore. 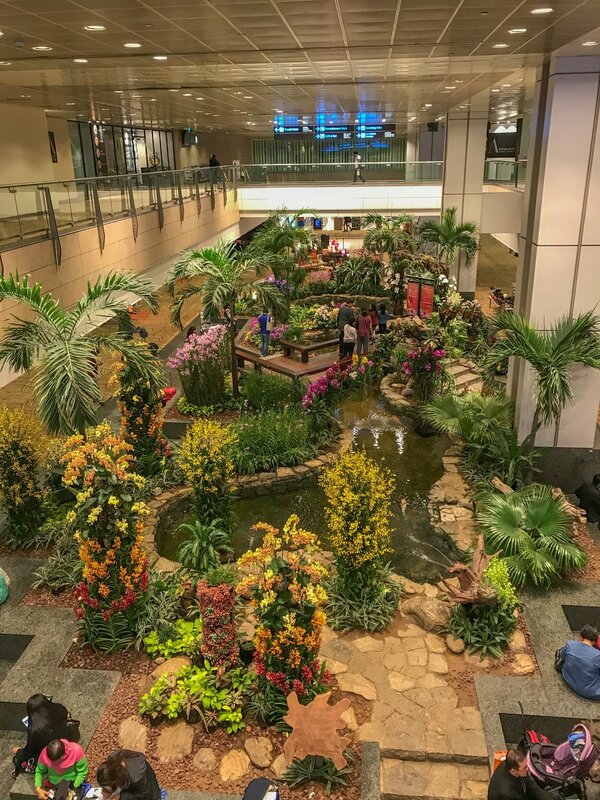 Changi offers a 24-hour (free) movie theater, countless indoor and outdoor gardens (including a butterfly garden), spas, multi-media entertainment pavilions, a corkscrew slide, and an incredible 350 retail shops! More impressively, the airport offers six FREE "heritage tours" and city sights tours for flyers with long layovers. Even after 26 hours of flying (including a 4-hour layover in China, where all things internet-related are non-working), I still hung around the Singapore airport for two hours before heading to my hotel. The city absolutely deserves a visit but if you can't swing it, it's worth going out of your way to work a long layover in at Changi. To my surprise, Singapore was so much more than a fancy airport and skyscrapers - though it had many! The city-state's mission to become a "City in a Garden" led to nearly 30,000 trees being planted in 2014 and rules requiring new buildings to replace trees lost during construction with roof-top trees. 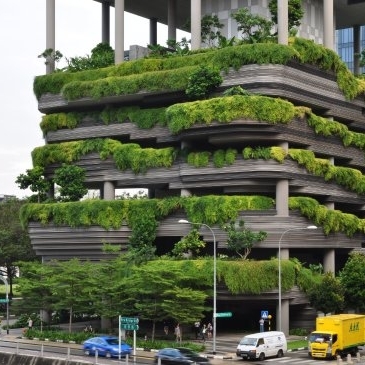 Office and apartment building roofs are as densely green as city parks, the walls of parking structures overflow with plants, and hotels double as mini botanical gardens - in a city that also boasts a spectacular botanic garden! Equally as impressive as the amount of greenery is Singapore's unbelievable cleanliness and efficient use of space. Subways are spotless (Singapore's strict penalties deters littering!) and and have been moved underground to save space. Bodies are exhumed and cremated after 15 years to save space. Despite these efforts, Singapore still doesn't seem to have enough room and much of the city is built on reclaimed land using sand imported from Malaysia, Indonesia, and Vietnam. Periyachi, believed to conduct the first c-sections. Hindus pray to her for fertility. Though Singapore's history often starts with its establishment as a British colony in 1824, a third century Chinese account described it as the "island at the end of a peninsula". The city would then be known as "Sea Town" when the first settlements were established from AD 1298. As Singapore's reputation as a trading hub grew, the city quickly began attracting immigrants from India, China, the Malay Archipelago, and beyond. From the mid 1820s - 1870s, the British addressed labor shortages by bringing over Indian convicts from British-controlled India who could serve out their sentences by building the city and then being released. Today's Chinatown, Little India (originally located in the hills), and Kampong Glam (Malay) enclaves reflect what are still the country's largest ethnic groups. Each neighborhood continues to draw new immigrants, is brimming with spectacular and authentic cuisine, and offers walking tours that should be on the itinerary of any visitor. For the best (and most affordable) food, dine in the city's many hawker centers, open-air food complexes where Chinese, Indian, and Malaysian food stalls prepare tasty and cheap food on site. 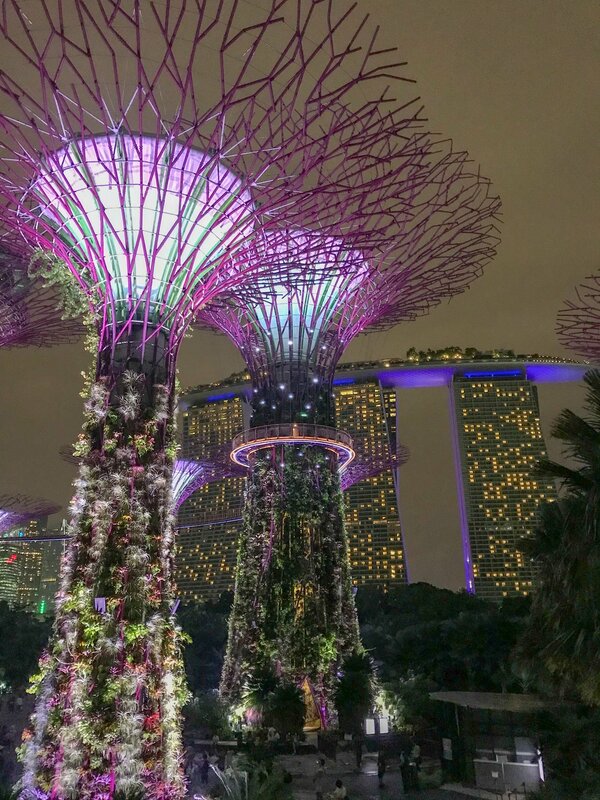 Mouth-watering Indian, Chinese, and Malay food and gorgeous, bike-able streets may have been the highlights of my trip to Singapore but most tourists go to visit the highly Instagram-able Marina Bay Sands Hotel. Sitting 57-floors high, the world's largest infinity pool offers 478-feet of luxury and stunning views of the city. The pool is only open to card-carrying hotel guests but anyone can pay about $25 to access the bar overlooking the pool. For the best views of the hotel, head across the bay or to the equally photogenic Gardens By the Bay, which offers a spectacular evening sound and lights show that plays music in twelve languages to honor southeast Asian countries. For those short on cash, a somewhat less-impressive (but free!) view is available on the 57th floor of the 3rd tower. Before any trip I take, I research off-the-beaten-path, non-touristy, quirky, and downright weird sites to visit. Enter Haw Par Villa, a theme park containing over 1,000 statues and 150 dioramas depicting scenes from Chinese folklore’s 10 Courts of Hell. These often-gruesome depictions illustrate the various ways Buddhists believe evil-doers will suffer in hell, including decapitation, dismemberment, and disembowelment. If Singapore's "Hell Garden" isn't enough, you can find others in Thailand and Vietnam but I would suggest leaving the kids at home. Right up there with quirky is the importance biking plays in my travels. Singapore is a thoroughly gorgeous city full of street art, gardens, and protected bike lanes that run along cafe-studded river walks. Even better, a quick "bumboat" ride lands you at the tiny island of Pulau Ubin, one of the last rural areas remaining in Singapore and home to about 100 villagers. Bikes are available for rent for under $10 and are the best way to explore the island, though walking and taxis are also options. Small Chinese temples and shrines dot the island but the top site is Chek Jawa, a wetlands reserve where monkeys, wild pigs, and threatened bird species provide entertainment as you meander along the 1-kilometer-long boardwalk that takes you through the forest and out into the ocean. Singapore's prime location makes it a perfect place to spend a few days en route to another destination. 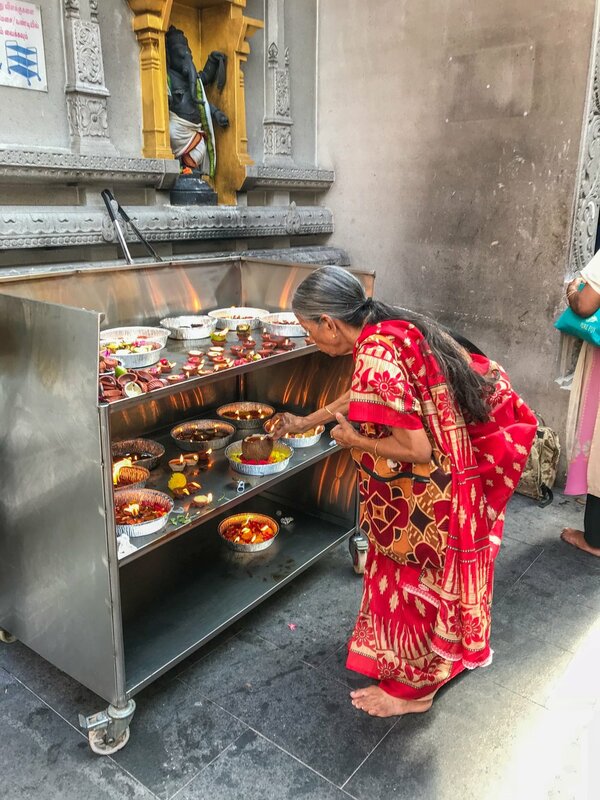 I chose to take a bus into Malaysia, where I would spend the next few weeks hiking, biking, visiting temples, and attending a gigantic Hindu festival. Super cheap fights (like $49!) can jet you to the beaches of Bali, dive sites of Thailand, or temples of Vietnam. Singapore might be a fantastic layover destination but it's well-worth a longer stay. Enjoy!